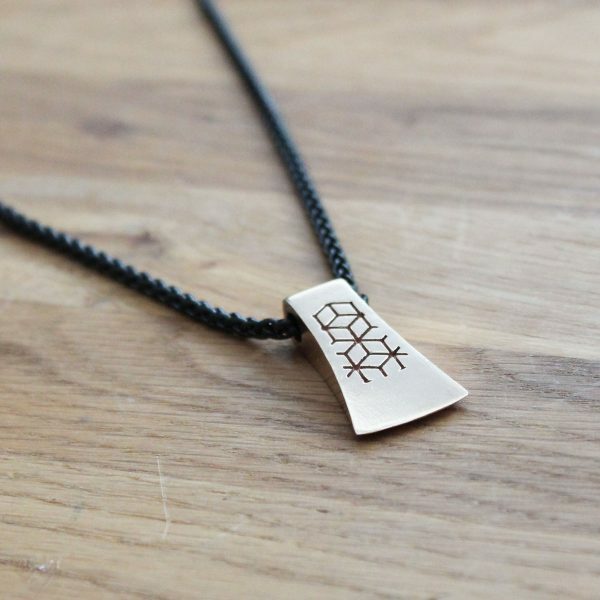 This pendant resembles the axe of Forseti. Forseti is Old Norse for “the presiding one” and is the name of the Norse god of justice. 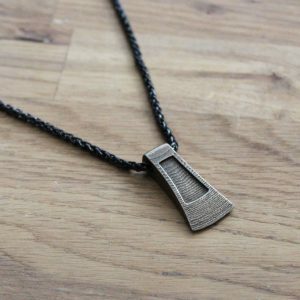 The Bronze axe pendant has a smooth surface and a 3 mm wheat chain. 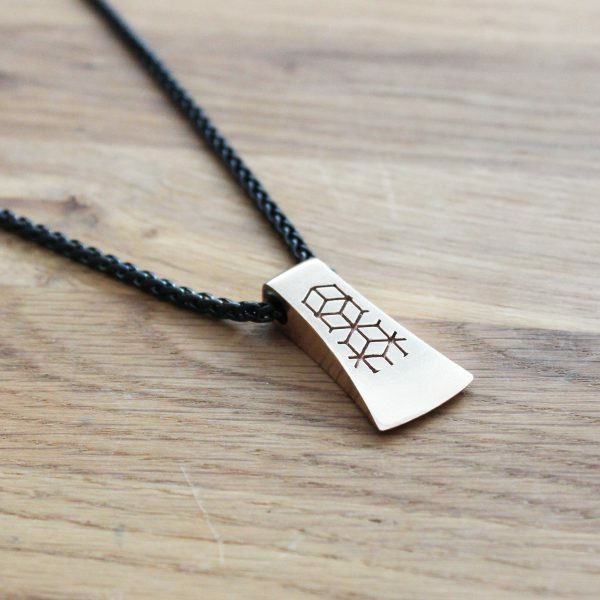 This variant has a rune engraving on each side. 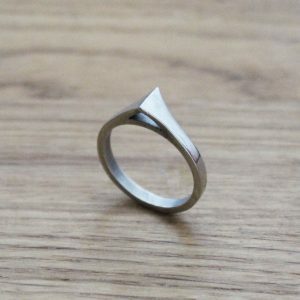 The pendant is 32 mm high and 17 mm wide. 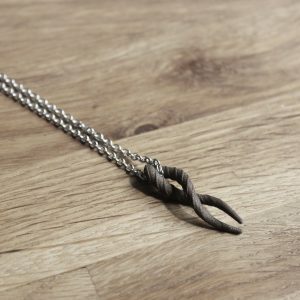 The wheat chain comes in two different color variants. You can add a custom bind-rune instead of the one shown in the picture.